The Mechanix Original CR5 Glove is your first line of defense against cut hazards in the workplace. The glove features a synthetic palm with an internal layer of Armortex Cut, delivering CE level 5 cut resistance to the palm and fingers. Fluorescent, ANSI-107 compliant TrekDry form-fits the hand and provides a cool, comfortable fit in warm environments. Top it off with a secure Thermoplastic Rubber wrist closure and you have a critical cut resistant tool. 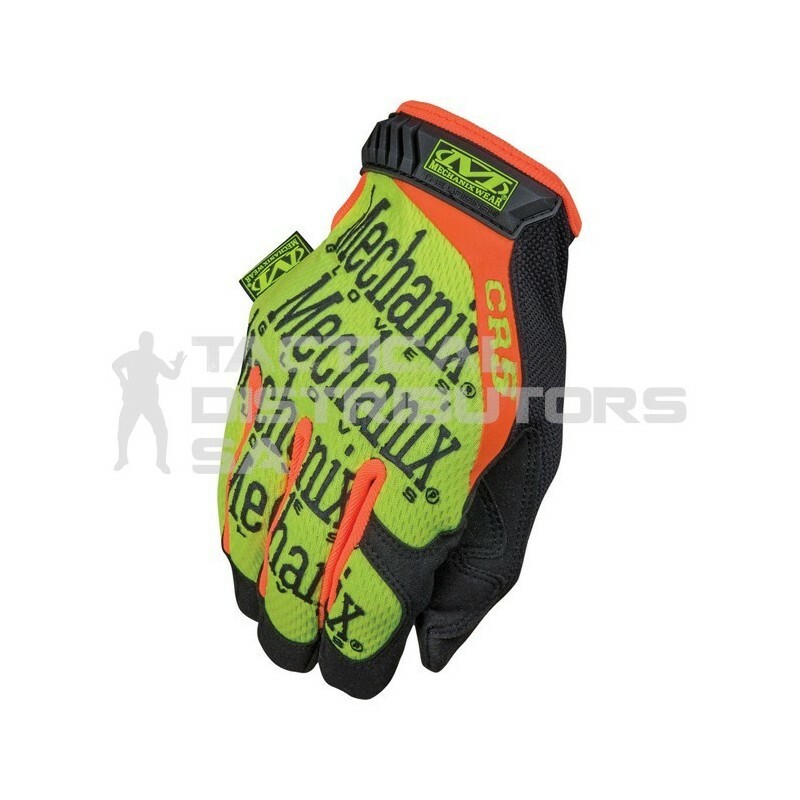 Features Fluorescent, ANSI-107 compliant TrekDry material, Synthetic palm with an internal layer of Armortex Cut delivers CE level 5 cut resistance, TPR closure with hook and loop provides a secure fit, Reinforcement panels in high wear areas, Machine washable.